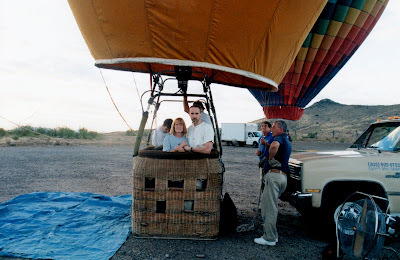 One of the things we have had an opportunity to do over the years that certainly qualifies as an adventure is a hot air balloon ride. While it isn’t our typical fare of scrambling over rocks to stand on a mountaintop, we certainly got high enough! 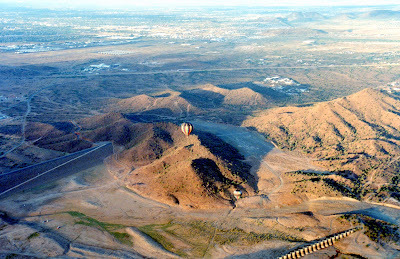 If you haven’t noticed hot air balloon rides are always early in the morning or late at night. The reason is the winds are more manageable. Our trip was scheduled for early in the morning. 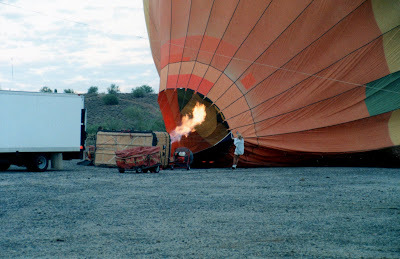 We had to be out at the launch site in northern Phoenix by 6:00AM. We would launch for an hour and a half or so and return to the ground (in one piece hopefully) by 8:00AM. 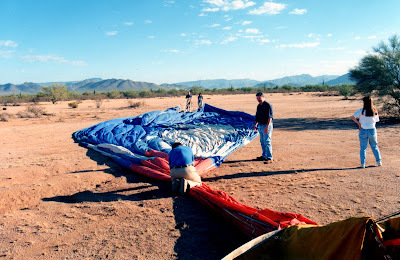 Here you see the balloon crew unrolling the balloon on the desert floor getting ready for take off. All aboard and ready for take off. There was 4 of us and 1 pilot in the balloon basket. We rose quickly and quietly into the air along with several other balloons. The feeling is quite eerie because other than the noise of the flames occasionally it is absolutely quiet. 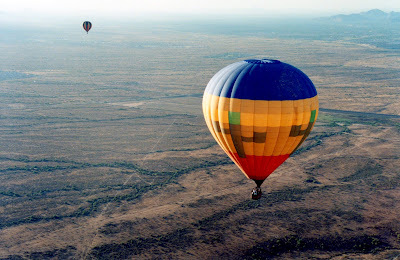 We could watch the other balloons as they moved along in the early morning breeze with us. We drifted for an hour or so reaching an altitude of almost 12,000 feet. 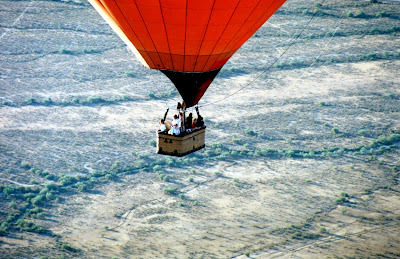 Prevailing winds at different altitudes allow the balloons to go in different directions based on the altitude they were at. The pilots keep in radio contact with each other relaying wind directions at different altitudes. Looking down on other balloons going in different was amazing. 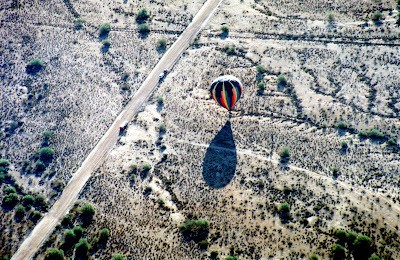 Here is a balloon about to land. 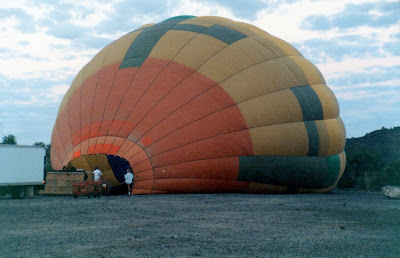 A good landing in a balloon is one you can walk away from, because of the wind they cannot just exactly stop. When they hit the ground they often drag for quite some ways. Sometime they tip over the basket. Our landing wasn’t exactly great. We bounces and dragged for almost 50-60 yards, but the basket didn’t tip over, and all parties walked away undamaged! We were safe back on the ground and the chase crew has found us with a great breakfast of Champagne, Orange juice, and fruit.